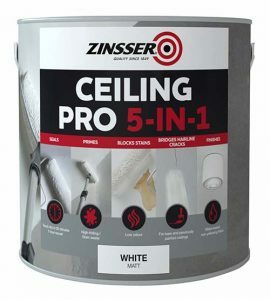 Zinsser has introduced Ceiling Pro 5 in 1 ceiling finished, a quick drying, water-based, low odour product which seals, primes, blocks stains and finishes, while bridging hairline cracks, all in one application. With its stain sealing properties, it makes light work of water or smoke damaged ceilings, leaving a bright white matt finish. 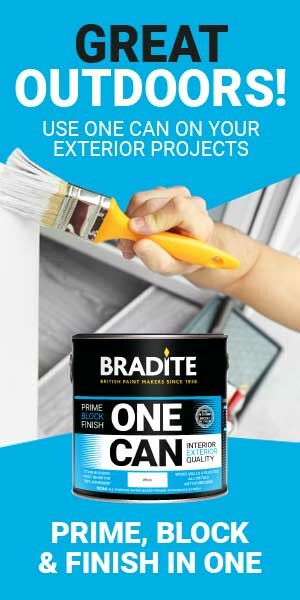 It also contains a biocide that protects the dried coating against fungal degradation* to prolong the life of the finished painted ceiling. 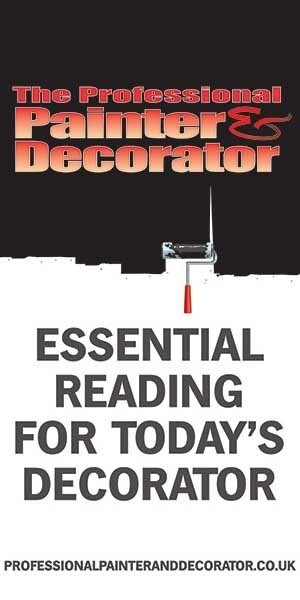 As it dries with zero tension, Ceiling Pro 5-in-1 can reduce the likelihood of future cracking, flaking and peeling, say Zinsser. Ceiling Pro 5 in 1 is available in 2.5 litres and be applied by brush, roller or airless sprayer.